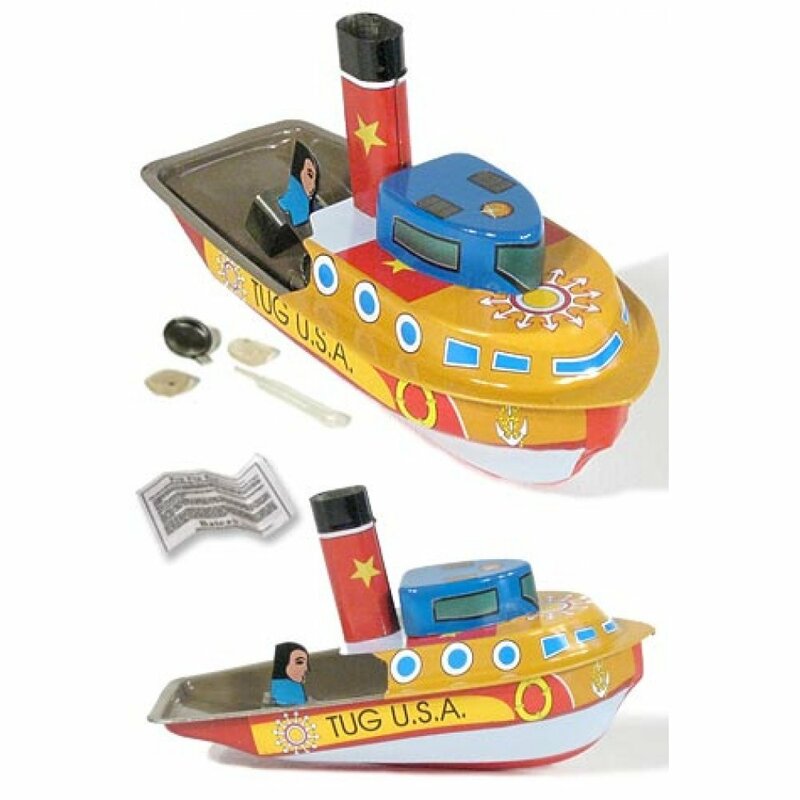 Our large, colorful tin toy Pop Pop Tug Boat USA uses an actual flame and candle to heat the "boiler" and move the boat through the water using its exhaust pipe. Our Tug Boat captain guides our steamer as he holds the candle at the engine boiler. This attractive retro toy includes a candle and straw to start the Tug Boat engine to pop pop through the water. A great gift for your tin toy collector. Collect all of our Pop Pop Boats and have a race! 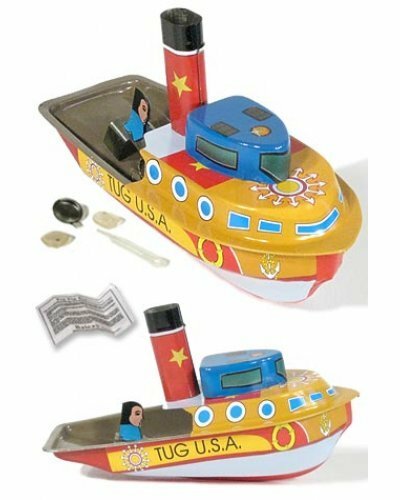 This classic tin Tug Boat USA is a member of the Tin Toy Treasures Collection - exclusively at TinToyArcade.com. 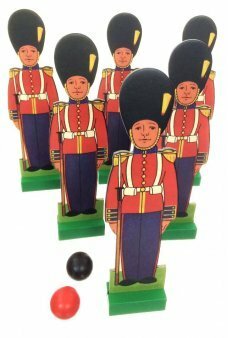 Set up our English soldiers and roll the wooden balls to score in the On Parade game! 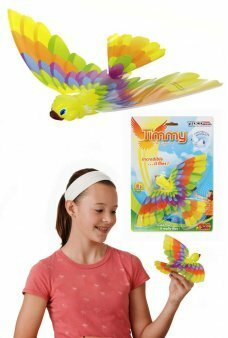 Our old fashio..
Timmy flaps his wings and he really flies like a bird. This original ornithopter from France is a sc..
Have a Pinball Competition with our Space game set of 3! Our mini space pinball toys are tiny versio.. 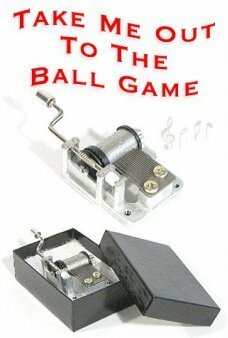 This classic tin music box plays the Baseball Theme - “Take Me Out to the Ball Game”! This American ..
WAKE UP! Your Space Invaders Clock says “Alien Vessel Approaching!” Our Space Invaders Alarm Clock..
Our Hamster eraser is an adorable tiny puzzle. From Iwako of Japan this eraser toy is a high quality..